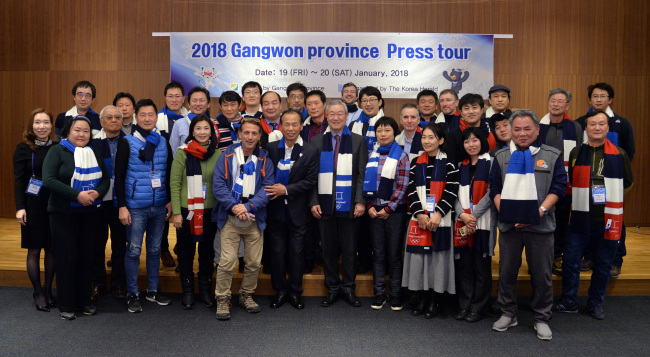 PRESS TOUR IN GANGWON -- More than 30 foreign correspondents from the US, Asia and Europe joined a press tour hosted by Gangwon Province and The Korea Herald from Friday through Saturday, visiting a host of landmarks of the forthcoming PyeongChang Winter Olympics. 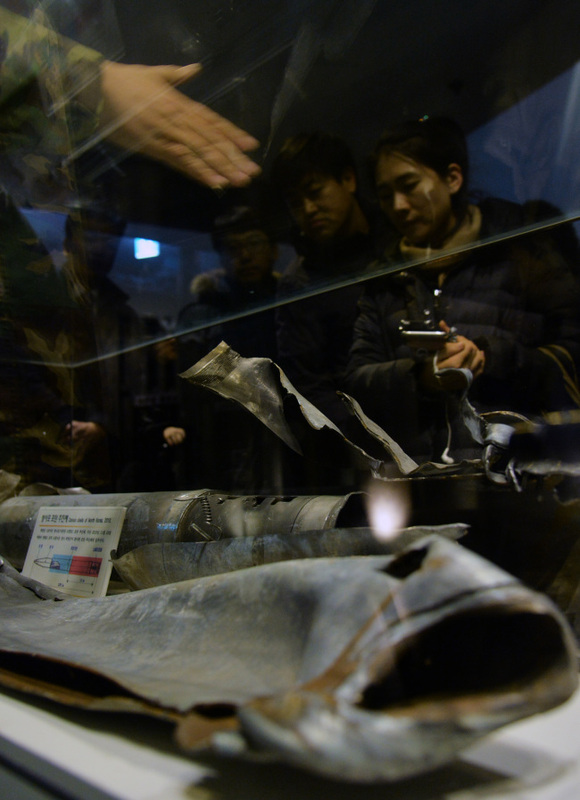 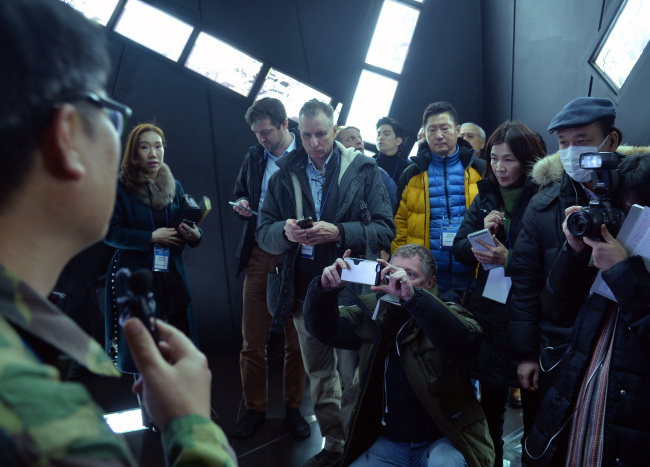 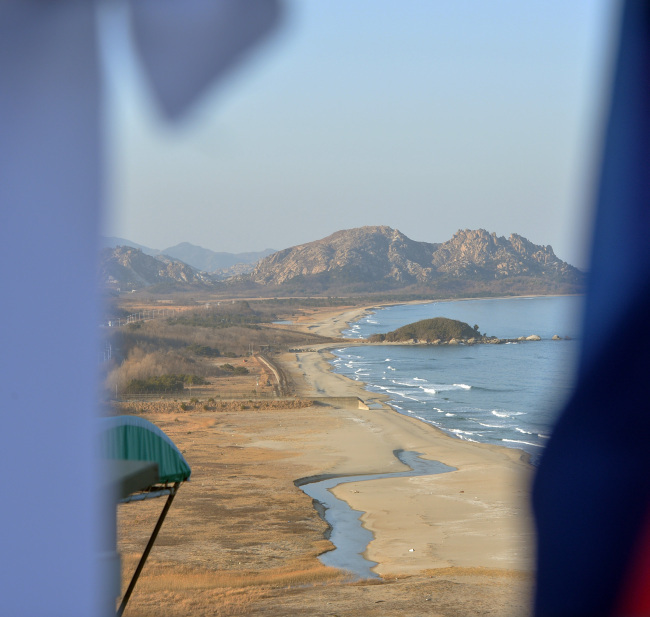 Reporters from international media including the New York Times, BBC, Channel News Asia and TV Tokyo made a tour of Gangwon landmarks such as the Goseong Unification Observatory, DMZ Museum and tech-intensive Euiyaji 5G Village near PyeongChang. 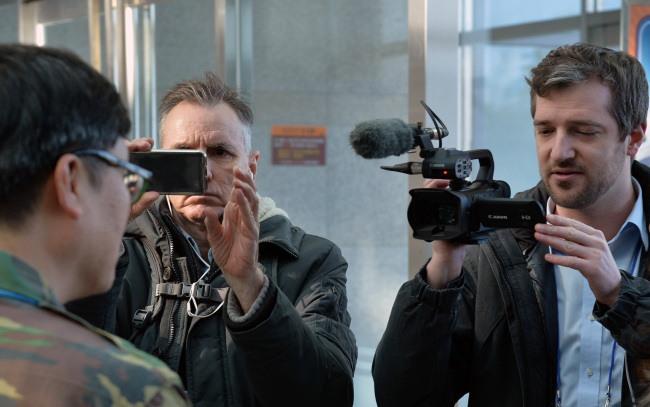 The foreign journalists also attended a press conference on the PyeongChang 2018 Cultural Olympiad, a wealth of cultural events set to be held in the area through February and March, and were offered a preview of the DMZ Art Festa featuring various art performances that will take place from Feb. 4-21. 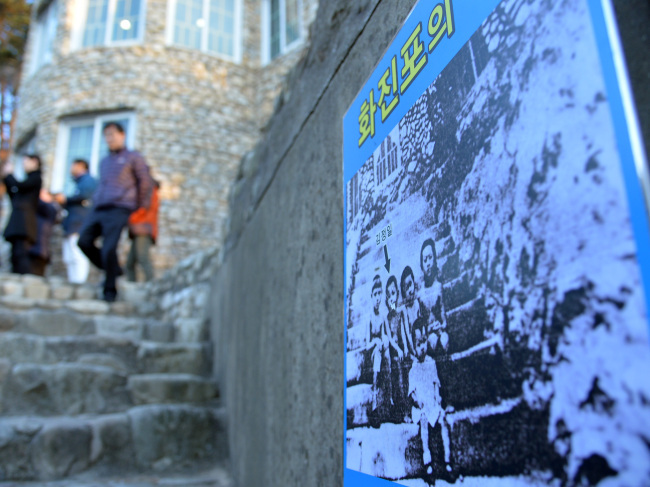 Seventh and eighth from the left in the photo, respectively, are Gangwon Gov. 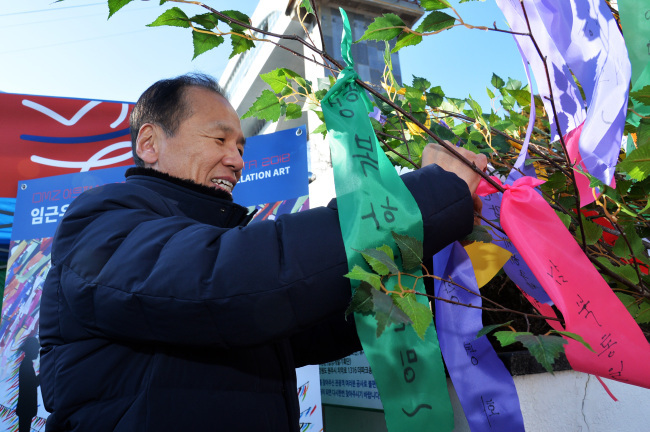 Choi Moon-soon and Kim Sung-hwan, former foreign minister and chairman of the Gangwon Art & Culture Foundation.